Turn up the fun! This Maxim Peppermint is a wickedly fun ball that is great for spare shooting, looking good on the lanes for a recreational outing, or at birthday parties. Take this ball to a blacklight alley as well as watch it glow as it goes down the lanes! how do we know what size our hand is for drilling? Hi, if you click on the details button just below the $14.95 Drilling drop down, you will see a sizing chart that helps you determine what size drilling your hand would require. 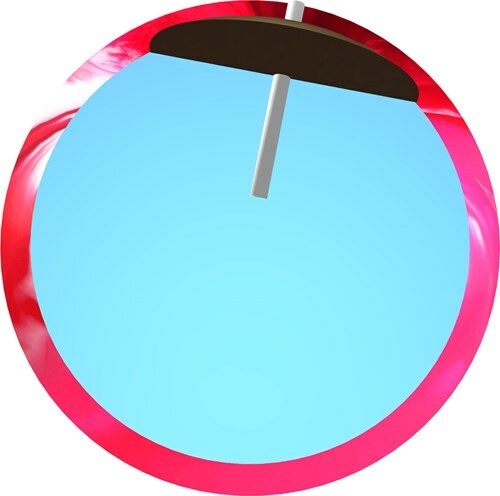 I throw straight. What ball should I buy? Any of these balls will bowl straight considering they are spare/plastic balls. 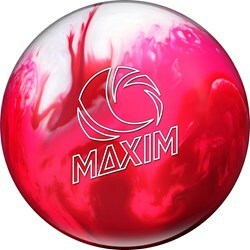 Due to the time it takes to produce the Ebonite Maxim Peppermint ball it will ship in immediately. We cannot ship this ball outside the United States.